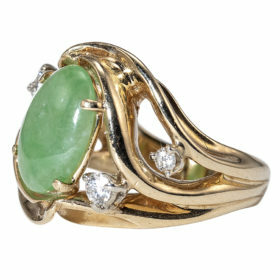 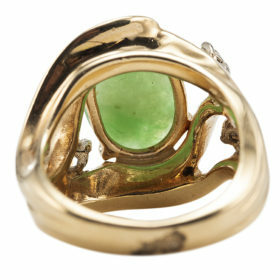 An elegantly flowing jade ring, set in 14K yellow gold. 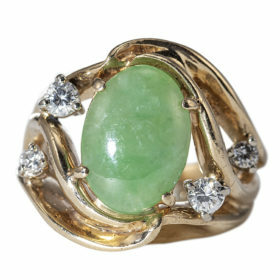 An oval jade cabochon rests in the ring’s center, accented by 4 diamonds. 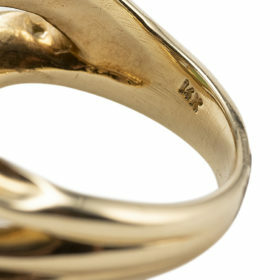 The band features a free form setting. The gold uniquely wraps around the stones, creating a distinctive piece and a flattering look on the hand.